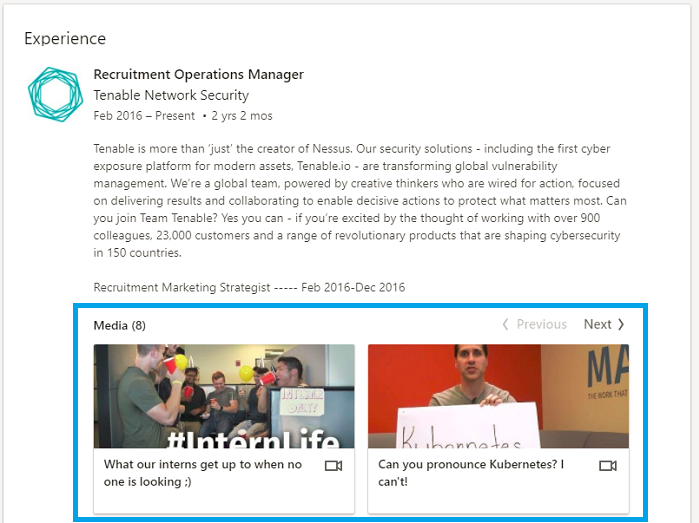 Every one of you has a free recruiting ad at your disposal: your LinkedIn profile. The best candidates are looking for every extra piece of info about your recruiters, managers and company they can get their hands on! Here are 3 easy ways to treat your LinkedIn profile like a recruiting billboard. 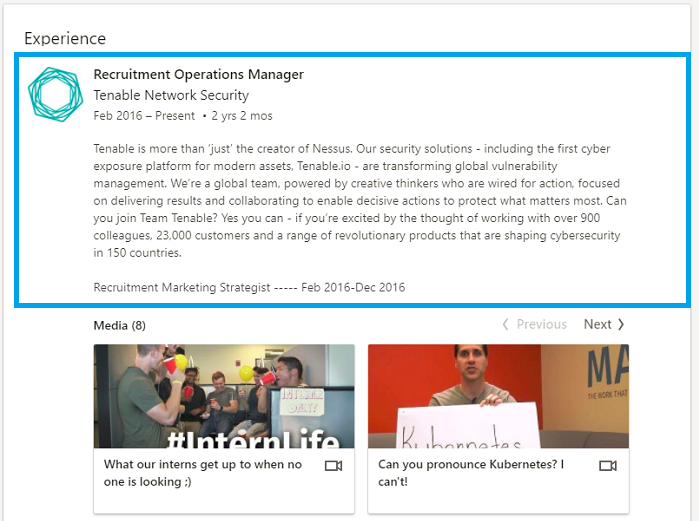 Her experience section features conversational, candidate-facing language to persuade candidates to take notice and engage. Use LinkedIn Publisher to create content. Your article will be front and center on your LinkedIn profile (note: only your latest LinkedIn Publisher post will be showcased on your profile). You’ll see her showcase article and 2 out of 3 of her most recent activities have candidate-facing recruiting content. A little can go a long way when you optimize your LinkedIn profile. Odds are you already have recruiting content (existing pics from your company or just ideas in your head) — it just needs to be added to your profile.